Award-winning Malaysian animation producer Animasia Studio and China’s Zero One Animation have unveiled the first trailer for their upcoming $8.5 million (RMB 60 million) feature co-production Chuck Chicken the Movie at the Hong Kong FILMART event Monday. The movie is inspired by the 52 x 11-min. television series, also known as Kung Fu Chicken in China. Now in production, the new 3D CGI movie is slated for theatrical release in china by the end of 2018. The project has been in development since November of 2015, with a script team headed by He ZiZhuang (winner of the Best Script award at the 20th Golden Rooster Awards), Helen Dong (Pet Pals) and Ah Loong (Bola Kampung the Movie), who is also directing the movie. “We are extremely excited to commence the production of Chuck Chicken the Movie with Zero One Animation and launch the trailer at HK FILMART 2017. We have also attracted a leading cinema chain and distributor from Malaysia to represent and distribute the movie to key Southeast Asian theatrical markets and we will announce the line-up of our distributors for other key markets soon,” said Edmund Chan, Managing Director of Animasia Studio and executive producer of the movie, with Raye Lee and Helen Dong. 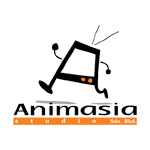 Animasia also announced key Chuck Chicken licensing partnerships with Tang Chao Animation Technology Co. in Guangzhou (toys and merchandise manufacturing), Leader Reputation Network Technology (mobile apps and games for China/Asia), and China’s premiere VOD platform, iQIYI, which will invest in and distribute mobile games in the country. Chuck Chicken / Kung Fu Chicken airs on major provincial TV stations in China including CETV-1 Channel, Shenzhen Media Group Kids Channel, Zhejiang Television Kids Channel and Dalian Television Kids Channel, as well as on Disney China (including Taiwan, Hong Kong and Macau), Disney Southeast Asia, and Nickelodeon India (incl. South Asia). The show has also garnered over 1 billion streaming views on iQIYI.